Kellyanne Conway endorsed Ivanka Trump's clothing line during an interview on Fox News from the White House briefing room. 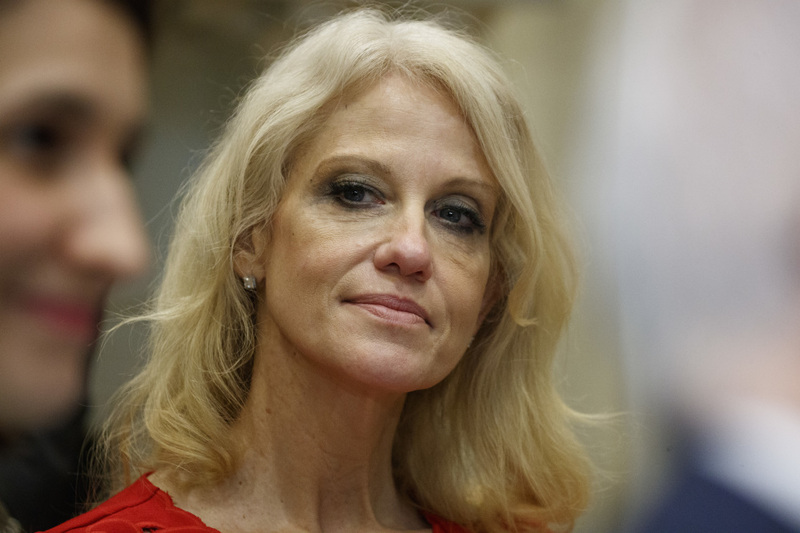 In a letter Monday to White House Deputy Counsel Stefan Passantino, OGE Director Walter M. Shaub Jr. wrote that Conway’s comments appeared to be “a clear violation” of federal ethics rules that bar federal employees from using their public office to endorse a product. White House officials, including Conway, did not immediately respond to requests for comment. Rep. Elijah E. Cummings of Maryland, the ranking Democrat on the House Oversight Committee, called on President Donald Trump heed the agency’s advice. “This was a textbook violation of federal ethics rules, and the president should follow the independent advice of the Office of Government Ethics to impose discipline on Ms. Conway,” Cummings said in a statement. The episode began Feb. 9, when Conway touted Ivanka Trump’s “wonderful line” of clothing, shoes and accessories during an interview she gave “Fox & Friends” from the White House briefing room. Ethics experts said that violating the rule barring using one’s public office for private gain can trigger a range of disciplinary actions, including a multiday suspension or loss of pay. U.S. Fish and Wildlife Service employees, for instance, face a five-day suspension or termination for such a violation. However, the ethics office has little recourse if the White House declines to take any disciplinary actions, as Shaub noted in a separate letter to the House Oversight Committee. The ethics office can merely issue a “nonbinding” recommendation and inform the president if an agency is failing to discipline an employee. “Forgive us if we don’t hold our breath,” said Robert Weissman, president of the nonprofit Public Citizen.